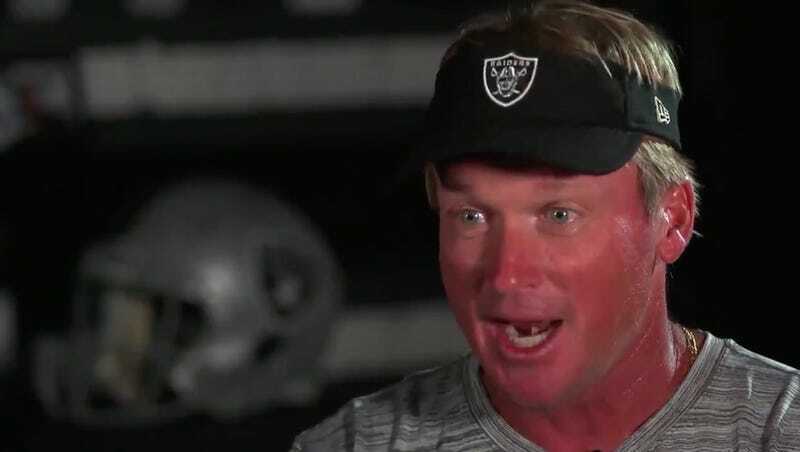 The Oakland Raiders dropped wide receiver Martavis Bryant 11 days ago, insisting at the time that the guy they traded a third-round pick for on draft night wasn’t released because of a possible drug suspension, but rather because he wasn’t very good and kept missing practice. Now, they’ve taken him back. Bryant signed a one-year deal with the Raiders today, a day after NFL Network’s Mike Garafolo reported that Bryant had returned to the Raiders facility to practice and hammer out an agreement. ESPN’s Adam Schefter reported earlier this week that Bryant faces a year-long suspension for a failed offseason drug test. The league could make its decision before the Raiders play the Broncos on Sunday. It seems that Oakland’s lack of wideout production on Monday night—Jordy Nelson and Amari Cooper combined for four catches and 32 yards—outweighed the possibility of losing Bryant until 2019. Only took a week and a half to figure it out!